Marvel’s The Avengers made $18.7 million from midnight shows across the US, beating out The Dark Knight for the number one spot in Superhero midnight shows. Then it went and blew away analysts’ predictions of a $172.5 million opening weekend and destroyed ‘Harry Potter and the Deathly Hallows Part 2’ with a $200.3 million dollar opening (the incumbent had made almost $169.2 million in July of 2011). The film touts without a question the biggest superhero ensemble cast in history. Iron Man ($318,412,101 million) and Iron Man 2 ($312,433,331 million), Captain America ($176,654,505 million), The Incredible Hulk ($134,806,913 million), and Thor ($181,030,624 million) made almost $1 billion dollars combined domestically – and all of the actors, with the exception of Edward Norton, returned for Marvel’s The Avengers. Norton was replaced by Mark Ruffalo to play Dr. Bruce Banner after he was unable to come to a contractual agreement with the studio. From what has been said by critics, Ruffalo knocked it out of the park with his performance. 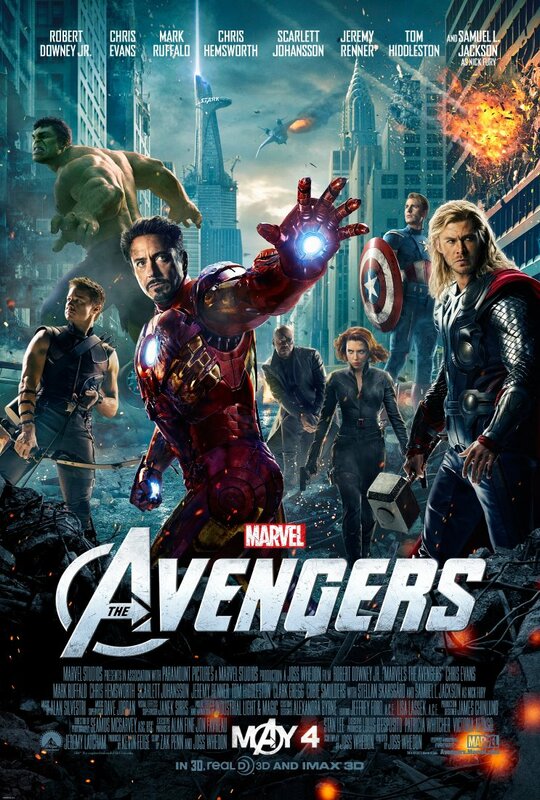 Marvel’s The Avengers had a production budget of $220 million dollars, which was actually smaller than films like James Cameron’s Avatar ($237 million) or John Carter ($250 million). I am surprised with the amazing cast and production value that it came in that low. Stars like Robert Downey Jr., Samuel L. Jackson and Chris Evans are sure to have nice back-end deals. Whatever the case, the film has already made $641.8 million dollars worldwide in less than two weeks – recouping it’s budget almost 3 times. Things to keep in mind: The Dark Knight made $158.4 million opening weekend – but it wasn’t 3D like ‘Harry Potter Part 2’ and ‘Avengers.’ So as far as ticket sales go, the caped crusader and our Marvel friends are pretty close. But that doesn’t negate the fact that Marvel’s The Avengers knocked it out of the park this weekend. The Dark Knight Rises, Christopher Nolan’s highly anticipated conclusion to his Dark Knight trilogy, will be released in theaters July 20th in 3D as well. So we will see how it stacks up to this one, and it can come out on top. What did you think of Marvel’s The Avengers? Tell us in the comments below!